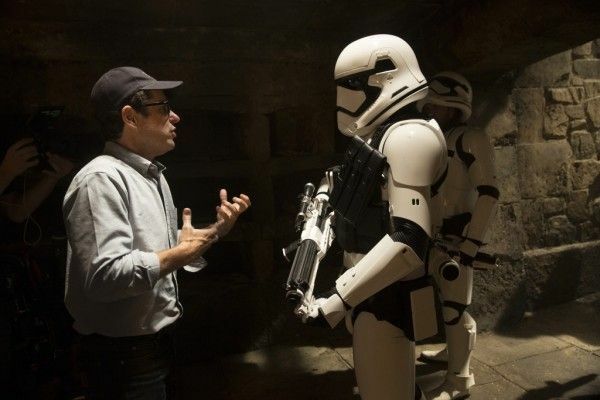 When J.J. Abrams was announced as the director of Star Wars: Episode VII, it was mighty exciting. However, Episode VII was just the tip of the iceberg. Lucasfilm, under the stewardship of president Kathleen Kennedy, set about expanding the Star Wars universe not just with a new trilogy of sequels, but with “anthology” or “spinoff” films that were not quite Episodes, but still took place in the Star Wars universe. The first out of the gate is this December’s Rogue One: A Star Wars Story, which chronicles the mission to steal the plans for the Death Star before the events of Episode IV. The second is a young Han Solo movie directed by Phil Lord and Chris Miller and starring Alden Ehrenreich as the young Han. Abrams serves as a producer on Star Wars: Episode VIII but, officially at least, isn’t too involved with the Star Wars franchise going forward, so don’t take this as a coy tease of something that’s going to happen. However, that’s certainly a fascinating answer. 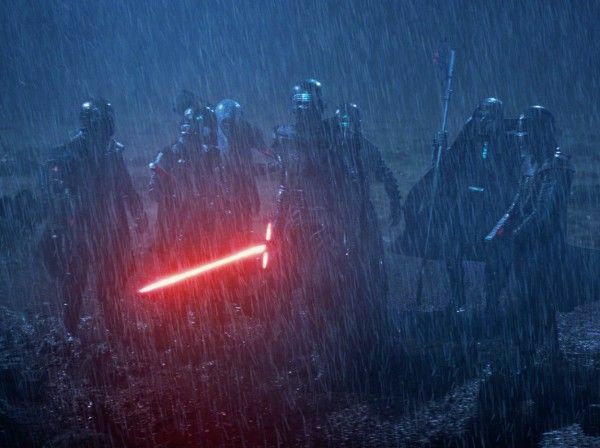 The Knights of Ren is a somewhat murky organization that operated in the years following the Galactic Civil War under the command of Supreme Leader Snoke, and their ranks included Adam Driver’s Force Awakens villain Kylo Ren. We caught only the briefest of glimpses of the Knights of Ren within the context of Force Awakens, and given Abrams’ comments here, one could infer that there are currently no plans to further explain the Knights of Ren backstory in Episode VIII or Episode IX. Or maybe Abrams is talking about a specific Knights of Ren story that he cooked up during the development of Force Awakens that didn’t make it into the film. Regardless, I’m kind of onboard with this. The anthology films thus far announced are all prequel stories having to do with the original trilogy, but it’d be interesting to further flesh out the time between Return of the Jedi and The Force Awakens with a full feature film. And the Knights of Ren certainly sounds like an intriguing prospect, so count me in. What do you think, readers? Would you want to see a Knights of Ren movie? Sound off in the comments below.